Emerging Brands Focus of Food Conference: Get on the Shelf & Stay on the Shelf! I am proud to announce that registration is open for the 2nd Annual Emerging Food Brands Conference! 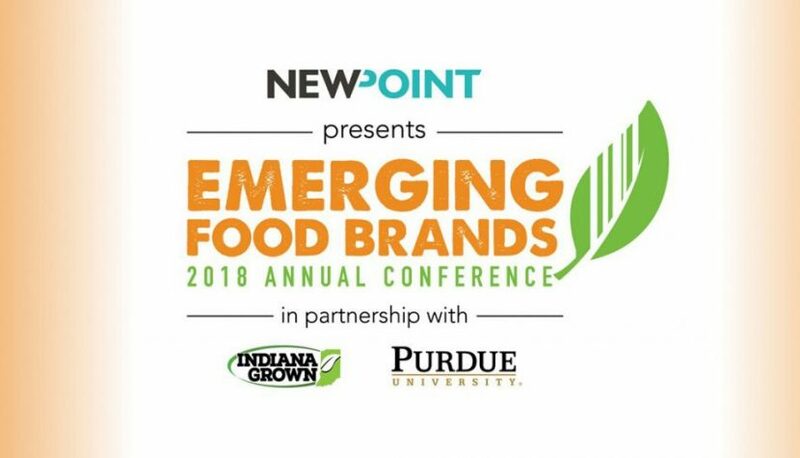 Who should attend: Emerging food CPG (consumer packaged goods) brands that aspire to network, learn, and sell. Building on the success of last year, we are once again partnering with Indiana Grown and Purdue University Food Sciences. Indiana Grown is a grassroots movement that encourages Hoosiers to buy, sell, and share food that’s locally sourced–products made in Indiana. Indiana Grown partnered with us last year to expose local food brands to a new resource. Purdue University is a valuable partner who can impart knowledge on food science, food production and other topics vital for scaling any brand. The Food Marketing Institute (FMI) founded FMI Emerge. They provide a subscription-based online community where industry leaders, mentors, and more come together.